Your heat rarely goes out in the fall or spring even though it is being used, and some of that makes logical sense. You aren’t stressing your system during the temperate seasons. But when it goes out during a snow storm, it feels like there are deeper, darker forces at work. In reality, cold weather can be part of the problem, but a little Cold Weather Heater Maintenance goes a long way toward prevention of these mishaps. When you have a heat pump it is important that snow removal be part of your plan when you are out there shoveling the walk. The heat pump is where your heater breathes. It gets air from all sides of the unit. Letting snow build up around your heat pump suffocates it. Stressing the system can lead to inefficiencies and stresses that cause breakage. Water should not be allowed to accumulate around the unit, so clearing snow from between the heat pump and the concrete pad underneath it will help to prevent this during the thaw. Lastly, if the heat pump blows air out the top of the unit, snow should be removed. Basically, anywhere air is entering or leaving the unit needs to be free of snow. If you are in doubt, just clear the whole thing of snow. The air intake vents may be on the outside of the home if you have a furnace. If this is the case, they must remain free from obstruction. When you are removing snow from these areas, make sure all other vents on the home are cleared. Furnace exhaust should also be a consideration, especially in heavy snow. If the exhaust is on the roof, deep snow may block it, and this could be an efficiency and a safety hazard. Most heating system effectiveness relies on the quality of airflow. Even if you are running a wood stove, a ceiling fan will help disperse heat and create and even temperature. 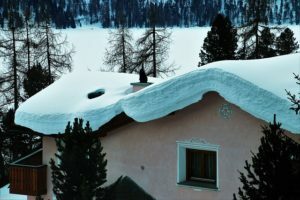 When you think about where you need to remove snow, consider the air flow. Also consider corrosion and breakage that can occur if snow is left for any length of time on the unit. Not only is air flow an issue, but longevity of the device can be shortened. When the snow starts to fall, you may not consider how it will affect your ability to heat the home. When it starts to get deep, you’d better start to think about it. Snow removal can be the difference between a safe, comfy home and a freezing winter hardship. Cold weather and dust removal are not connected in a direct sense, but dust stresses heating systems, and that stress results in breakage when the system is turned on full blast. Many people with furnaces don’t know to change their air filter, and clogged air filters have a lot of impact on energy efficiency. Around the furnace should be free of dust, so it does not get inadvertently blown into the system. In the end, your system should be checked by a professional at least every couple of years. They will make sure sensors and coils are clean, so your system continues to run at an optimal level. If you don’t get professional maintenance once in a while, you are asking for trouble when a winter storm hits. If your home is older and drafty, or your insulation is insufficient, you may have to resort to electric floor heaters to maintain the heat in your home. Indoor propane heaters are available, but they can be unsafe and should only be used if they are made for indoor use due to risk of carbon monoxide poisoning. 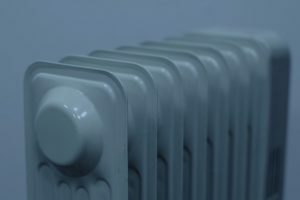 While modern electric heaters are relatively safe, there are still some precautions you should take when using them during winter storms. Dust can be an issue and a fire hazard when turning on heaters for the first time if they aren’t used often. To prevent this issue, store your heaters in plastic bags where they will be protected from dust and water. If your heater is old, make sure there are no breaks or weak spots in the cord. Lastly, keep the area around the electric heater free of debris that can be caught on fire or melt. Not having a proper heat source can be deadly in severe circumstances. This year’s polar vortex has made this a reality for multiple Americans. If you live in an area where cold winters are a certainty, make sure you are properly maintaining your heat sources. Generators and alternative sources of heat should be considered as a preparation technique to survive winter conditions. The maintenance of these devices is equally important to winter maintenance of primary heat sources. Enjoy the snow in the warmth of your heated home by properly maintaining your heat sources and making sure they are snow and dust free as much as possible. It is a comfort and safety measure for those with cold weather during winter months.